Berks Teens Matter educates and trains high school students to be part of our mission to reduce teen pregnancy. These students become part of our Youth Ambassador program. 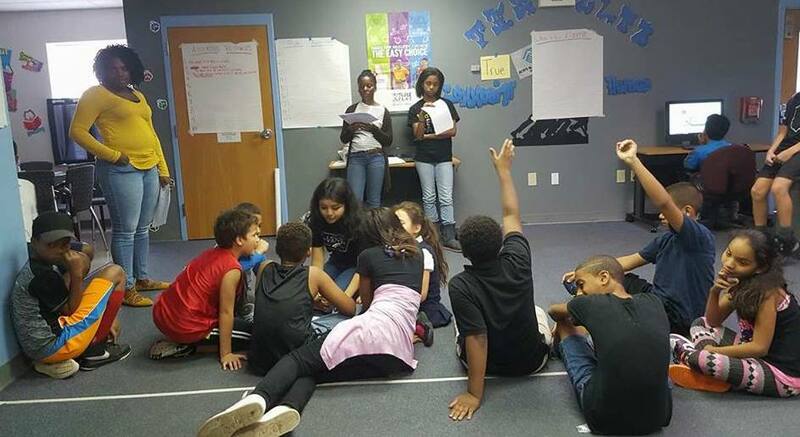 One aspect of being a YA is to provide peer education to Olivet Boys and Girls club youth. With the help of our YA coordinator, the high school students help run a weekly program at the boys and girls club that takes place throughout the year. 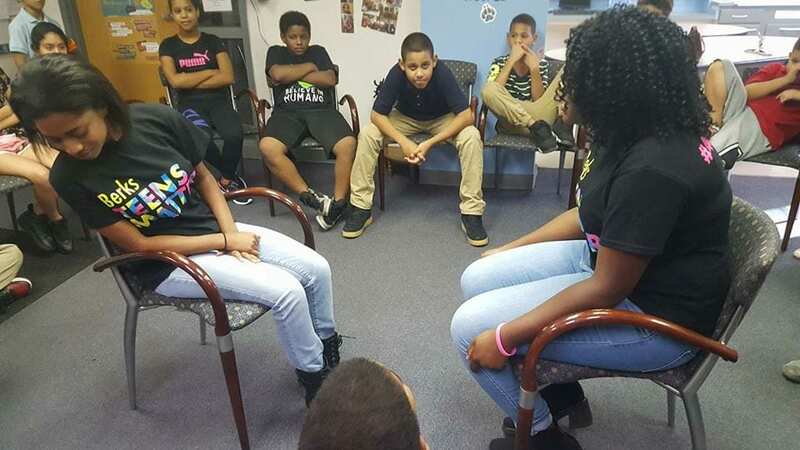 Working with kids ranging in ages 8-17, the YAs work one-on-one and in groups, discussing issues like healthy relationships, conflict resolution, anatomy, sexual health and reproduction. Through games, activities and tailored curriculum, OBGC students are given the opportunity to participate. They are also encouraged to submit a question via an anonymous question box at the end of each session. The following notes are a summary of these weekly sessions. Before OBGC youth enter, take the large table out of the room. Have youth make a circle out of the chairs. Once youth are seated, Alex asks youth if they remember BTM names from last week. Ask youth to review what they learned last week. Tell the youth that before each lesson we are going to have an activity because we know that it is hard to sit still and pay attention after a long day of school. Today, we will play “”Silent Soccer”. Have all students stand in a circle and spread out. Explain the rule of the game. You will need one medium size ball. The leader counts down “3, 2, 1, silent” and passes the pall to another person in the play area. A player must sit down if: S/he drops the ball. S/he makes a bad pass. They talk or make noise. Play continues until only one person remains. Last player standing get to be first to throw the ball in the next round. If game is progressing slowly, add a challenge by limiting time to throw, having all players take spread out, asking everyone to keep one hand behind their back at all times and so on. Explain to youth that the question box is meant for questions about the lesson we go over that day. Tell the youth that they MUST write a question at the end of the lesson. Before youth come each Thursday, have YAs review the lesson plan and decide how to split it amongst them. Janeice and Noriana demonstrated an “Active Listening” scenario. The OBGC youth wanted to participate and were given a BTM bracelet if they were chosen to volunteer to act a scenario out. Have the youth state 3 things they learned today. Gave BTM bracelets to the three youth who answered. Have youth put a question in the question box. What are relationships points for? What should you do if you’re getting bullied? Time allowed youth to play “Silent Soccer” again as promised. In order to get the youth to focus in times of distraction throughout the program, we introduced a concept before beginning and added one more element. Each week, 1 element will be added. A few youth were not strong at speaking English. This was alright due to having bilingual Youth Ambassadors at each meeting. This barrier was not distracting because we did not hand out homework and allowed the youth to write in their preferred language during small group activities. YAs do not speak loud enough/ask for respect from OBGC youth. They will be reminded to reinforce behavior management and help the youth to focus during the lessons. It was reiterated that these lessons are “peer education” driven which means that most of it should be taught by them. The leaders at OBGC must be asked to step in and/or speak to the youth about respect and appropriate behavior while BTM is there.